We have spent 3 years looking for the strongest tightest wrap to put our name on and add to our website. The wait is over. We are proud to offer you LiftingLarge.com?s own ? Parallel Breaker ? 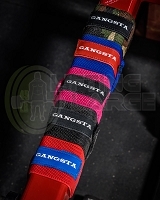 knee and wrist wraps. These wraps are the tightest most supportive wraps we have ever sold. 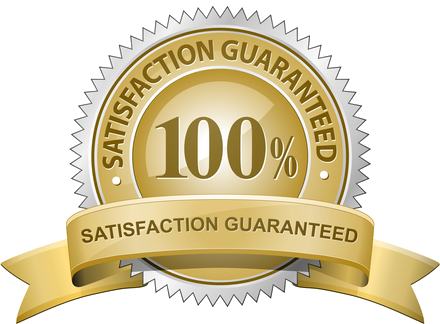 We are so sure that you will be blown away by the support we are offering a 15 day money back guarantee. If you are not happy just return them within 15 days and we will refund the cost of the wrap. We are not recommending these wraps to the beginner as they are extremely aggressive and tight. 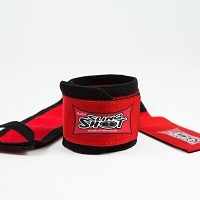 Wraps come as a left and right pair with a heavy duty thumb loop and heavy duty velcro closure. Excellent value tor a cast-like wrap. Not only are these wraps well-made, extremely stiff and supportive (they make Titan Titaniums feel like sweat bands), they have excellent velcro, and they're priced well below their competition. They're a no-brainer for training, and if they end up IPF-approved, will become my first choice for meets as well. Note that unlike Titan wraps, they are side-specific. It's nice to be able to pick colors, too. I'd give them a bonus star if they were available in plain black. I have a pair of the blue 24" and they are by far my favorite wraps. 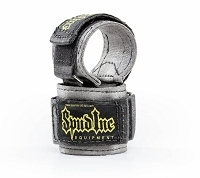 I have about 5 pairs, and these provide the best support handsdown, even over a 36" RPM wrap. I am a fan and will be ordering more. It's an item of a great quality and very supportive. Takes a time to get used to it, but once you're in, it's hard to go back to regular "soft" wraps. 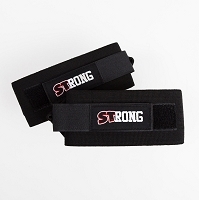 Planning to get knee wraps & elbow sleeves of "LiftingLarge" brand, way to go. I got a pair of these over a year ago and I still use them for every bench and press session. Very cast like when I first go them and almost too stiff but, now they are pretty broken in and are perfect for training (I'd say between Titan THPs and Max RPM in stiffness after break in). Just too bad they aren't IPF approved. 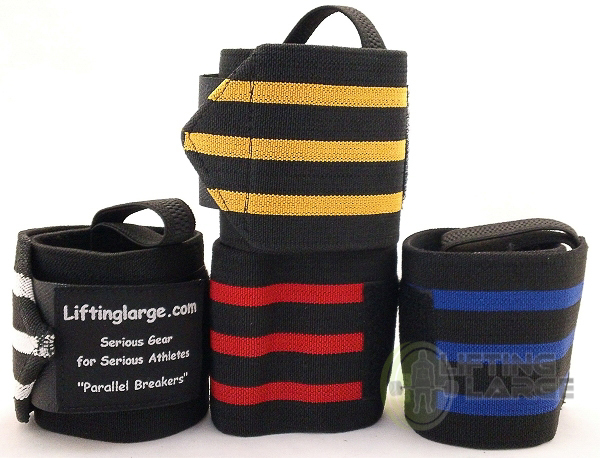 Q: i would like to order the blue and black Parallel Breaker wrist wraps, part # wwpara. but i do not see it in the choice block?